Haiti, a land dedicated to Satan for 200 years in ransom for its release from the oppressive French colonists was a land far from the Lord and far from hope. The great missionary thrust came in the 1900’s and was a forerunner for the great changes God had in store. As the gospel is preached and souls are saved, there is need for a church and need for discipleship. This is what brought about Source of Light Haiti’s impact in the 1990’s. A young man by the name of Claudy Jean Baptiste, a young convert eager to learn and tell others, was in his junior year of high school with a thirst for the Word of God. He was thinking of writing some Bible Study materials to help others understand the Word. It was then that a friend of his showed him the Source of Light lesson, “A Country Called Heaven” and Claudy said, “I want in on this!” The rest is history. Claudy finished all the courses that Source of Light had to offer and as a high school student ran the Source of Light program here in Haiti. For years the ministry was limited in its scope. Claudy, with the help of missionary Randy Christopher, opened up the first office in Carrefour just south of the capital with a storage room in the back and a little room up front for a desk to grade lessons and keep records. Lessons were sent by bus to 5 cities throughout the country with an enrollment of about 400 students completing courses in 2003 reporting 65 conversions. Aside from a large shipment of 120 cartons of lessons received in 2001, Claudy usually received a 3 or 4 cartons of lessons every 3 months. A large number of students were being handled from the Madison correspondence school in the USA. 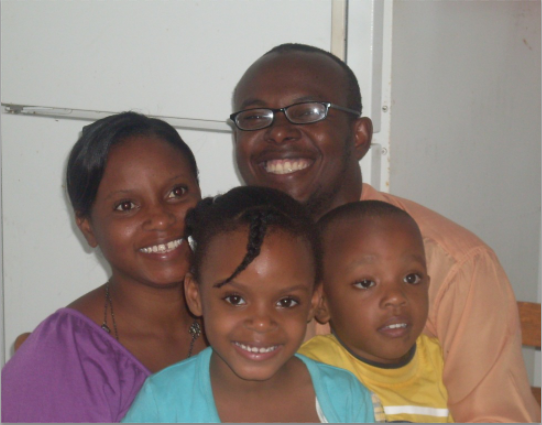 From Claudy: “My wife Guerrine D. Jean Baptiste and our (two) children Florence and Joel Jean Baptiste, are serving the Lord All departments of Haiti country/area. Our ministry with SLM began in january1996 when I was a young man and I received the SLM lessons by Florence Houck and Naomi Amman to give to all students in my college what I had study and others schools and churches in my locality. Since then, in 1998 we officially work with SLM as director associate of Disciple Training ministry at Carrefour and assistant director Branch Haiti on supervision Randy Christopher. In 2013, God had chosen me to substitute Arthur Spalding as Director of Branch Haiti. The major ministries we conduct as an SLM DTB are: Distribute the lessons to all schools associates (MFD), Give the training to all schools Associates (MFD) about the utilization lessons, Give the lessons to churches, classical schools and University, support the schools associates in different ministries evangelical, and supervise the school associates for a good leadership and impact in its community. We use SLM materials in French and Creole. We are so excited about the spiritual lessons in the courses. The lessons transform my life and Haitians people who study. 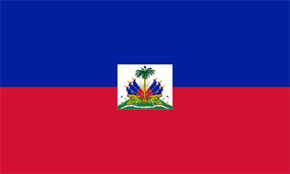 I would like to work to everyone who wants to use the lessons in his ministry (school, churches, association) in Haiti. Our future plans and goals are to build the office definitely for SLM and Have more lessons each year to distribute to all 10 departments Haiti.